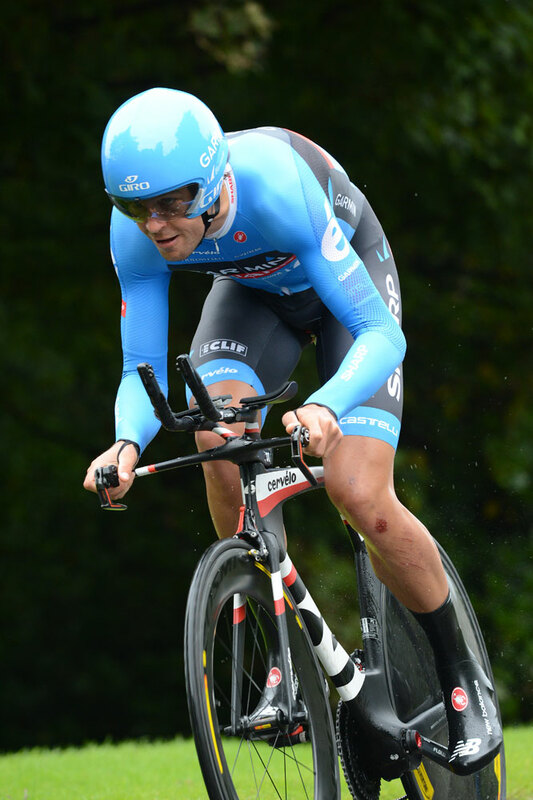 Olympic time trial champion Bradley Wiggins has shown he is on track for a world title tilt next week, winning stage three of the Tour of Britain today. 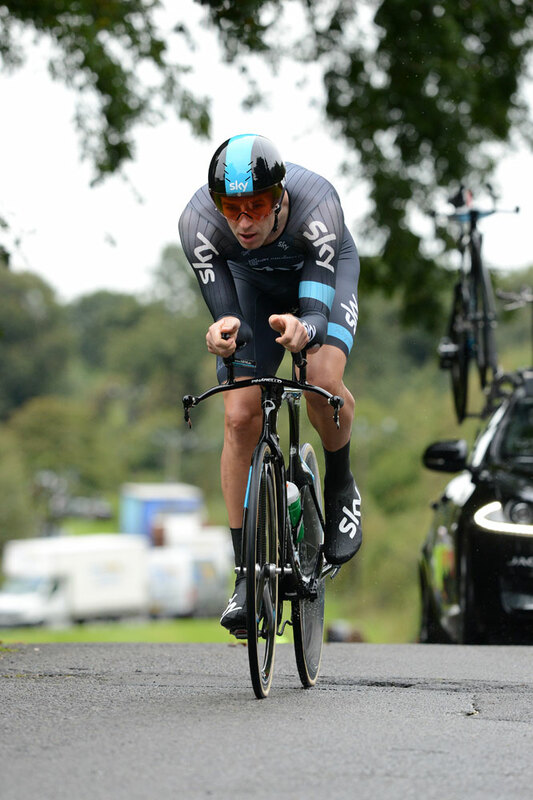 Wiggins assumed the overall lead with a calculated ride over the 16km course. He was a class above his rivals, stopping the clock at 19 minutes and 54 seconds with Sky teammate Ian Stannard 32 seconds off the pace for second and Jack Bauer (Garmin-Sharp) 42 seconds adrift for third. Giro d’Italia stage winner, Alex Dowsett (Movistar), who will also represent Great Britain at the world championships in Tuscany, Italy clocked 20:50, for fifth, in wet conditions. 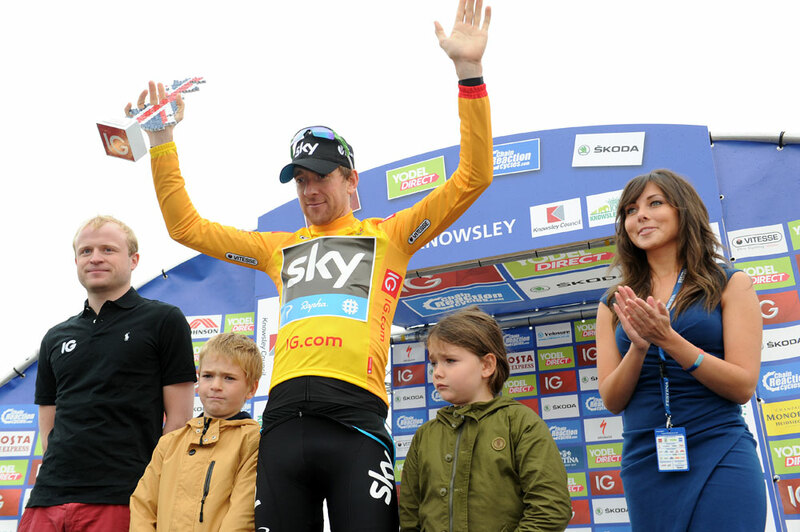 The 24-year-old has been managing illness in the lead-up to the Britain stage race. 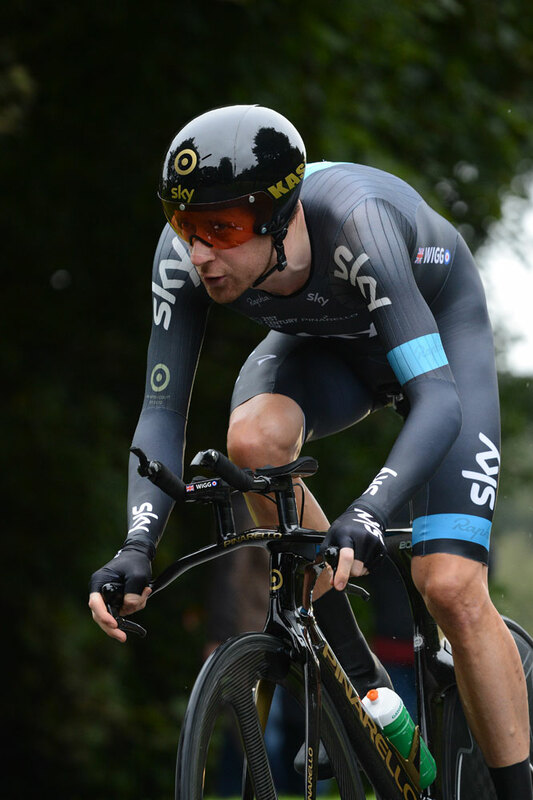 Wiggins entered the event on the back of the Eneco Tour in which he finished its fifth stage time trial in fifth. Today’s course isn’t comparable to that of the world titles but Wiggins, who has flown under the radar until now, appears up for it. Stannard as well as Bauer, Owain Doull (Great Britain), Stefano Pirazzi (Bardiani) and Iljo Keisse (Omega Pharma-Quick Step) were among those to sit in the hot seat throughout the race. Wiggins, who took the leader’s gold jersey from Milan-San Remo champion Gerald Ciolek (MTN Qhubeka), entered the tour with overall ambitions and his team will now look to defend its position for the remainder. “On the corners, I got off the first time and pushed the bike to see how slippery it was. Next time I took it 40km/h, then I took it 50, then 55 and the last time I got behind the car and came off at 60km/h,” Wiggins said post-race.